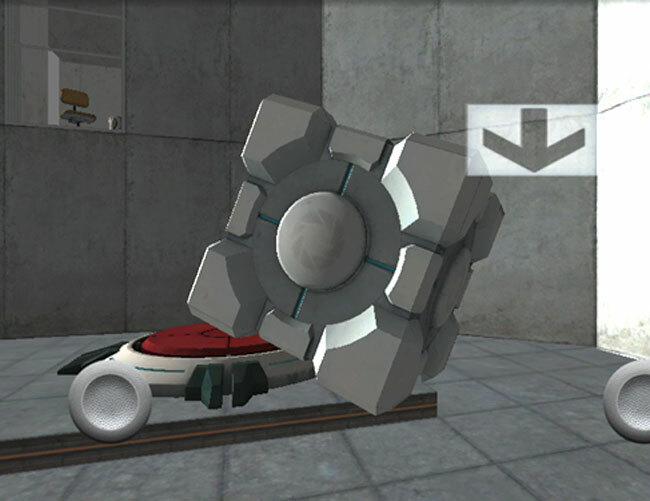 Portal game fans might be pleased to learn that a new cloned version of the popular Portal game has now been created and developed for Android devices. Portal created by Valve has now been unofficially ported with the Unity engine to run on our Android tablets, and first impressions look great. Check it out in the video after the jump showing a little of the gameplay you can expect when run on an Android tablet. The Portal clone is still under development at the moment so there are still a few graphics missing and a couple of glitches that nee to be straighten out. The Unity engine has been used to create the Portal clone and the developers say they will update their Portal clone accordingly as required. A version of the port is now available to download from PDA if you would like to check it out, but being in a development stage, it might cause a few problems on your Android devices in its current form.